The word cheese owes its origin to the Latin word ‘caseus’ which in turn was extracted from the word ‘kwat’ meaning to ferment or become sour. Casein is the protein present in milk which helps in the formation of cheese, and hence the name. Traditionally, cheese is prepared by acidifying milk with the help of some edible acidic agents like vinegar or lemon juice. The milk is heated and the addition of acidic agent makes it curdle. In this process the milk curdles. The curd is then collected and molded into cheese. 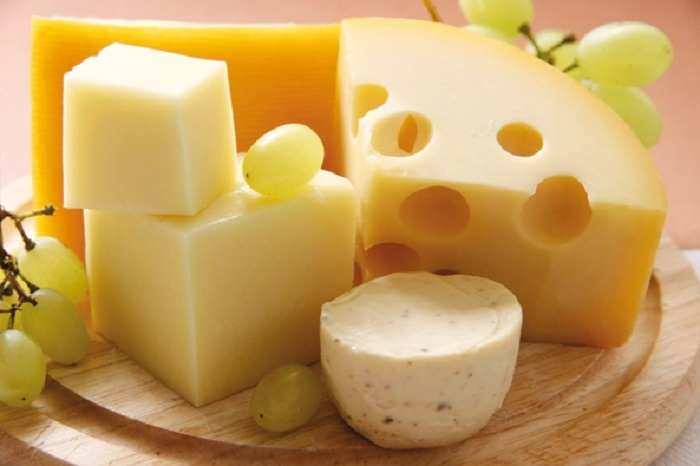 Processed cheese also known as American cheese was brought out in 1911, by Walter Gerber. This does not only contain cheese but is also added with preservatives to increase its longevity, food colour to make it look more presentable, salt, vegetable oil, and sugar to enhance its taste. It has a smooth texture and looks delectable, being a personal favourite of young and old alike. These are available in the market as cheese slices, blocks, canned, tubes and cheese spreads which we are all familiar with. 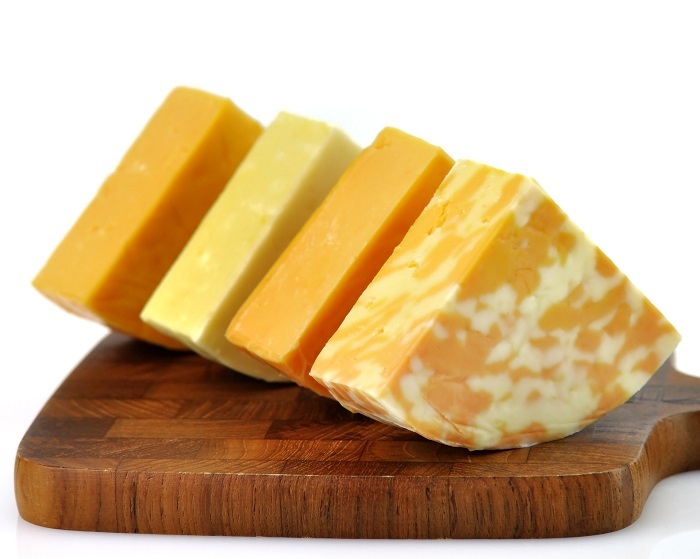 Nowadays, cheese has turned into a key ingredient in many of our day-to-day food, but did we know that it is actually processed cheese that we are having? This being so different from the real cheese, is not termed as cheese in many countries, rather these are known as cheese food, cheese product or cheese spread, owing to the consistency the product has. Processed cheese is often seen in the market in the form of slices, and the first sliced cheese was introduced to the world by an American named James L. Kraft. Kraft came up with this new avatar in 1949, and it soon became popular among the masses. The cheese slices are separated by thin plastic wraps and contain around 51% natural cheese, emulsifiers, whey, salt, sugar, vegetable oil, preservative and food colour. The thing which stabilizes an emulsion is termed as emulsifier and is used in many processed foods to stabilize them. Milk is one of the best examples of emulsion wherein an oily fats and soluble liquid amalgamate to form a mixture. Emulsifiers such as sodium phosphate helps in keeping the water and oil together and its addition is done so in order to instill the softness in the final product. The liquid which remains after milk curdles into bits is known as whey or milk serum. When cheese is made, this liquid is separated from the curdled part. However, in the preparation of processed cheese, this whey is added to mix along with other ingredients. Whey contains vitamins, minerals, fat, milk sugar (lactose), and protein. The protein present in whey gets digested at a fast pace and as such many food supplements contain this protein. Salt is a significant ingredient in cheese preparation, as it is not only added to enhance taste but it is also reduces the moisture level in milk curdle, helps in making the mold strong and also saves the cheese from perishing soon. Salt is added to processed cheese as well, but the amount of salt in real cheese is mush lesser than pasteurized cheese. Cheese slices occasionally contain sugar and a slice weighing 28g can contain around 0.6g of sugar, which helps to bring in a new flavour. Milk fat is used to make cheese food and sometimes this fatty content of milk is substituted with vegetable oil. Studies show that cheese made with sunflower oil is tenderer than the ones prepared with rapeseed oil. 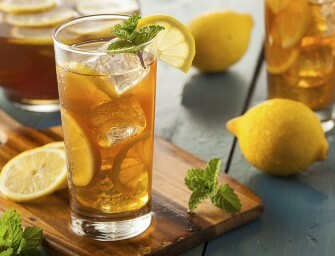 Preservatives are added to substances such as food, beverages, paint and so on to keep it from decaying. 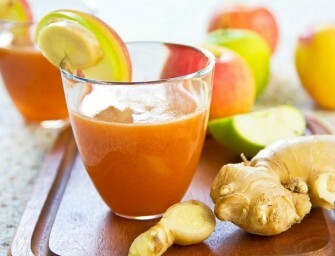 The food preservatives help in avoiding oxidation of food and also avoiding micro-organisms to grow in the food. However, there are only a few preservatives which are allowed to be used in specific food items and there quantity is also prescribed by the authorities. The preservatives which are permitted have been classified as Class 1, Class 2, Class 3 and Class 4. 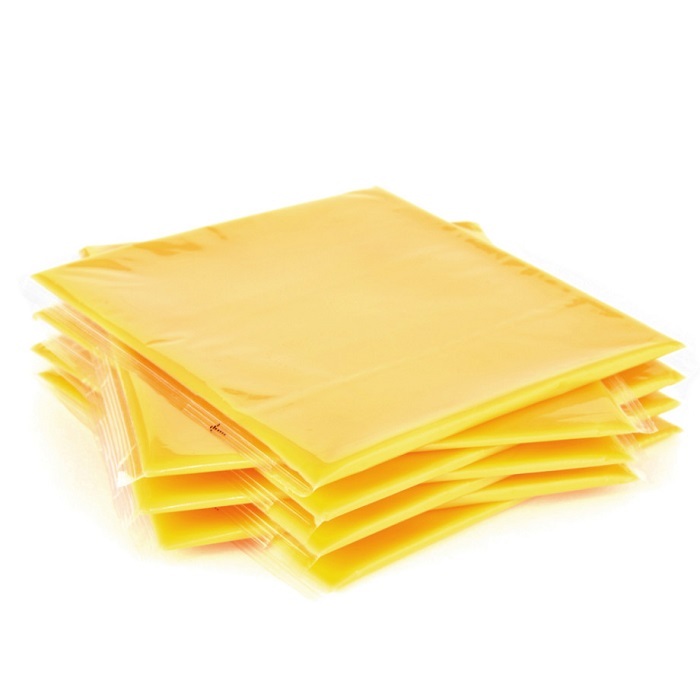 Processed cheese too does contain preservatives and this is the reason why they are more durable than regular cheese. We store processed cheese and use them when need arises, but this is not the same with regular cheese, thanks to the preservatives in these cheese products. Have you heard about rainbow cake? The vibrant cake which stimulates one’s taste buds is due to the magical effect of food colour. These colours also decorate food and help the chef bring in their creativity. FYI the processed cheese whose colour makes us choose one brand over the other, or makes our mouths water thinking about the melted cheese in our food, is also dyed with these food colours. Apart from these, there are many other ingredients which go into making processed cheese such as milk protein concentrate, calcium phosphate, enzymes, cheese culture and vitamin D3, which help to increase the shelf life of this cheese product and enhance its taste and productivity. This food is made with comparatively low cost ingredients which makes it more affordable. Moreover, this can also be produced in bulk quantity which makes it beneficial from the industrial perspective. However, time and again many arguments have aroused regarding the health benefits of processed cheese and its harmful effects. The ingredients which help in the preparation of processed cheese do not have much health benefits associated with them. These sometimes contain less than 50% of actual cheese and so the qualities of milk which are in traditional cheese are lacking in processed cheese. Too much intake of preservatives and food colour can be harmful, and in terms of taste and gratification, traditional cheese wins over processed cheese, any day.